Who: Eric and Emily thought they were a complete set, until Oliver, 7, and Ruby, 4, came along and showed them they were only half right. Despite living in always somewhat sunny LA, the action-loving family of four takes advantage of all of California’s climates. 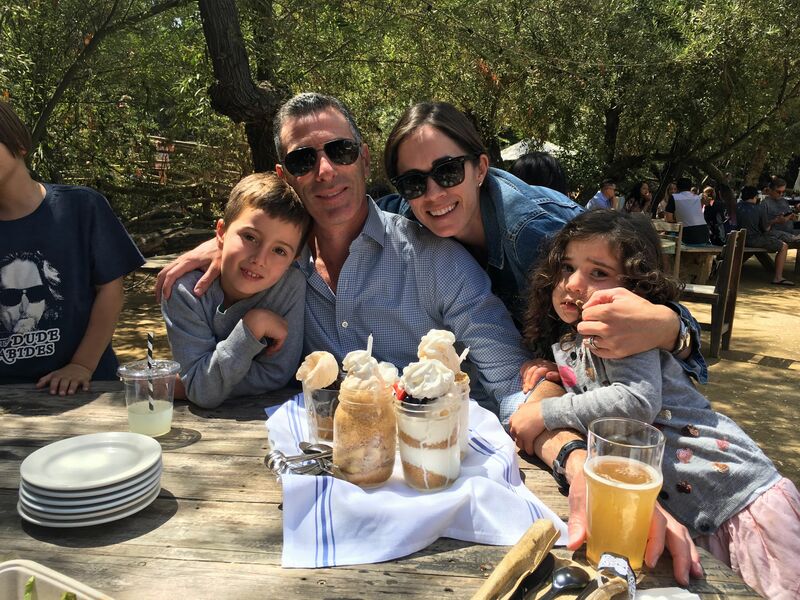 In the winter, they bomb up to Mammoth Mountain for their snow fix, and when summer strikes, catch the Scheinbaums poolside at barbeques with friends. The whole squad always supports each other in baseball, soccer and dramatic theater at YADA! The Scheinbaum family keeps it classy and cool when out on the town. Image courtesy of Eric and Emily Scheinbaum. 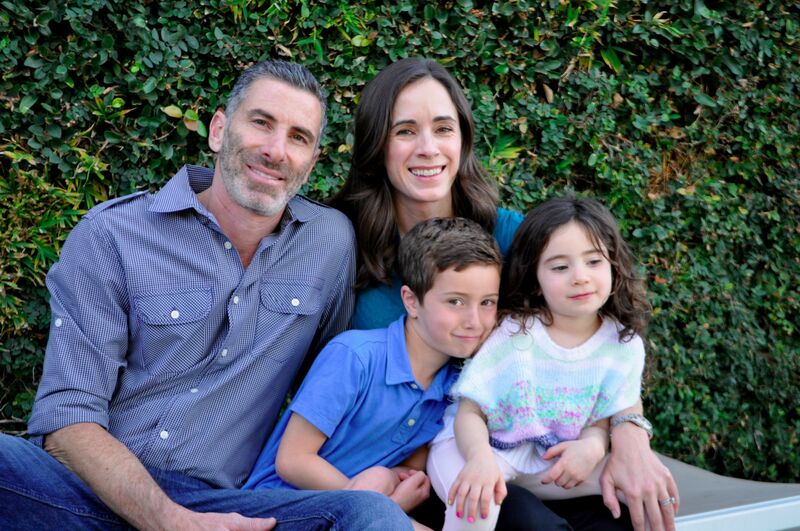 Eric and Emily Scheinbaum: The kids love to run free and play games, while grown ups get to relax with delicious cocktails and appetizers. 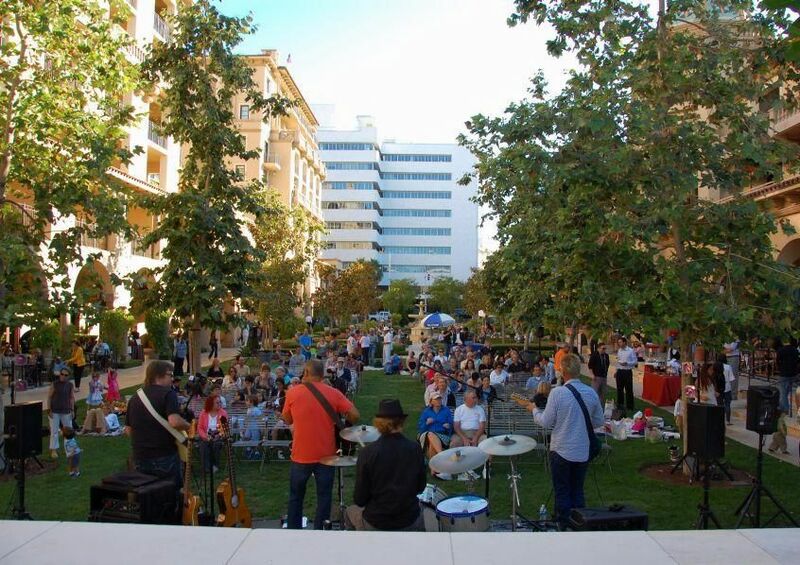 E&ES: Jazz nights are a great way to end the week every Friday in the summer – listening to music with a nice picnic. Bonus, kids get to run free around the outskirts of the museum. E&ES: Beautiful, lengthy beach. Sandy playground and restaurant conveniently located if you ever tire of the ocean. E&ES: Great spot to eat and drink, while kids can take breaks to run around and play with giant blocks and various other outdoor games. Fun on sunny days, perfect for Sunday afternoons. E&ES: We enjoy going here around Halloween. Each year, they host a family buffet, which includes pumpkin carving and a haunted house. E&ES: They just built a new ski school, which is great for the kids. Everyone who works here is friendly and helpful. Kids get to learn how to ski or snowboard, while parents can also hit the slopes, or relax with a Bloody Mary. 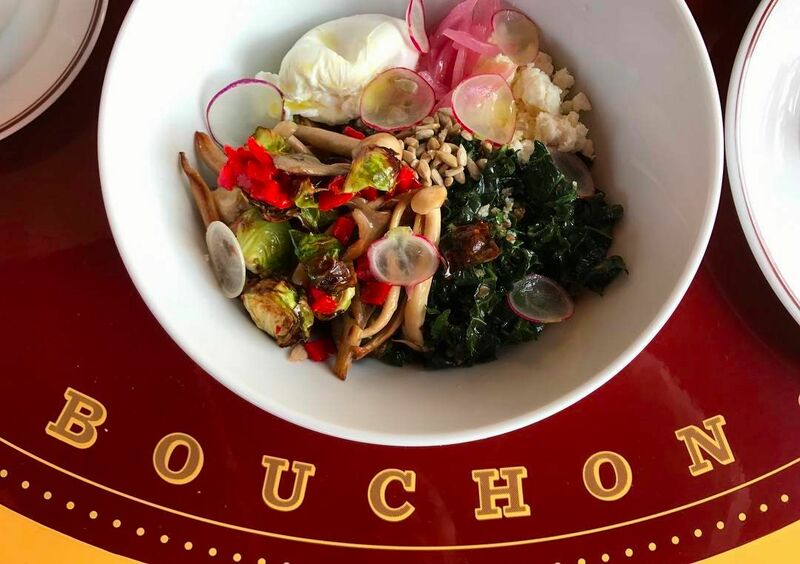 E&ES: For a handful of Thursdays during the summer, you can bring a picnic, or pick up food from Bouchon or Montage, and listen to live music. A different band each week sets up in between the two restaurants, off of Canon. The Malibu Cafe. Image courtesy of Eric and Emily Scheinbaum. LACMA. 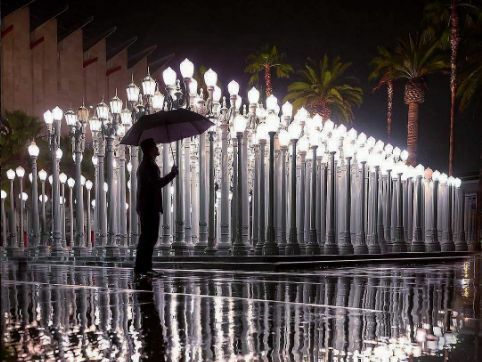 Image courtesy of @lacma. Annenberg Community Beach House. Image courtesy of @siftw. Golden Road Brewing Los Angeles. 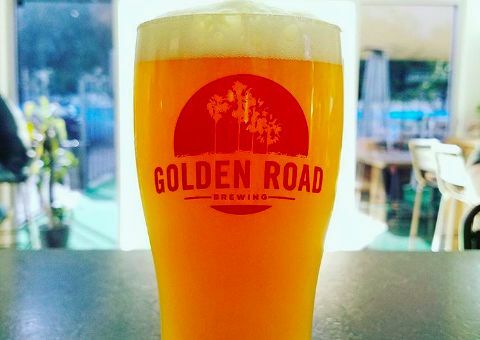 Image courtesy of @goldenroadbrew. 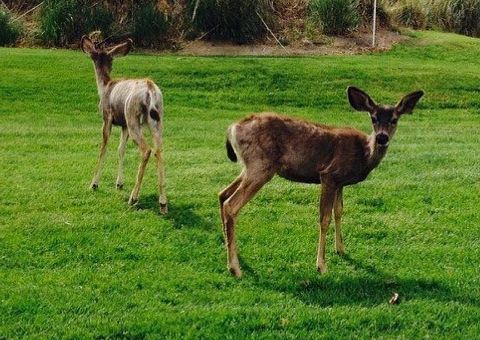 MountainGate Country Club. Image courtesy of @mountaingatecc. Snow Summit Ski Resort. 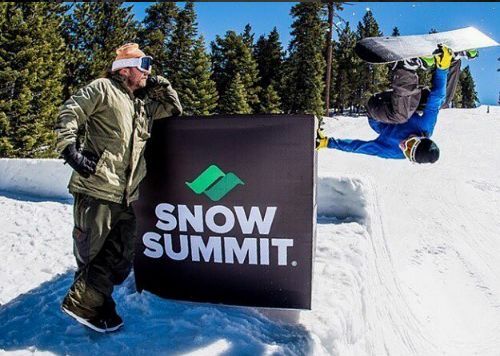 Image courtesy of @snow_summit. Concerts on Canon. 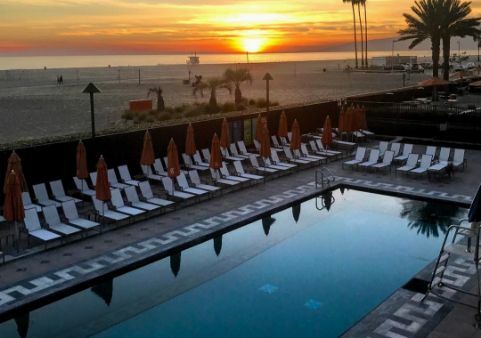 Image courtesy of @lovebevhills. Bouchon. Image courtesy of Bouchon Bistro. Header Image courtesy of California Beaches. Self-described "nouveau barbecue" spot offers a chic outdoor dining space for New American cuisine. Scheinbaum Family says "We enjoy going here around Halloween. Each year, they host a family buffet, which includes pumpkin carving and a haunted house." Childrens theater in Los Angeles, California.